ONE.de Service-Center - What is BIOS / (U)EFI? BIOS (Basic Input Output System) describes the Firmware from x86-Systems. It's a non-volatile memory, which is located on a chip on the mainboard of a computer or notebook. 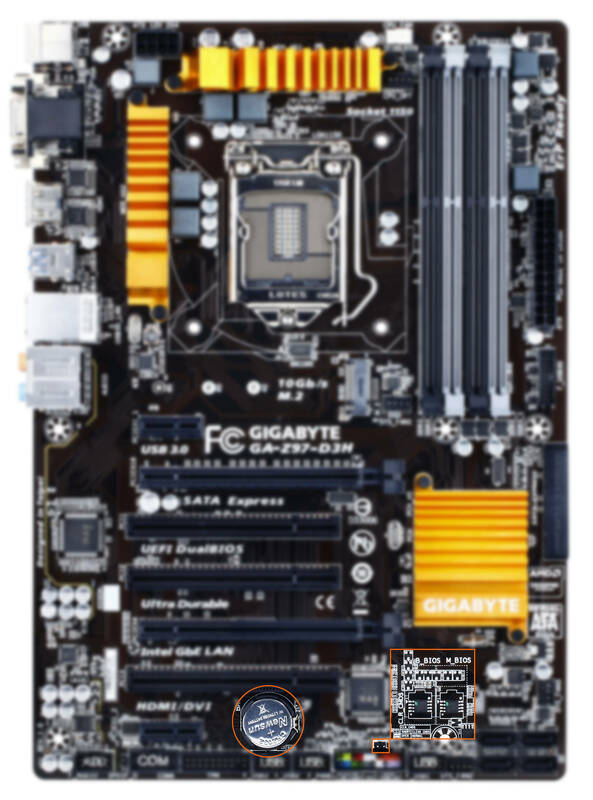 The mainboard shown above is a model with 2 BIOS chips. On the left below the two chips there are pins to perform a BIOS-Reset. This can be used to reset the BIOS Settings to their factory settings. On the left there is also the BIOS Battery, which ensures that the settings are saved, even when the computer is in a completely powerless state. All basic settings are from the computer are stored in BIOS. These include, for example, the date and time, the boot orger of the built-in or connected devices, and the functionality of all ports and components in the mainboard. Below you can see the man menu of a BIOS menu. 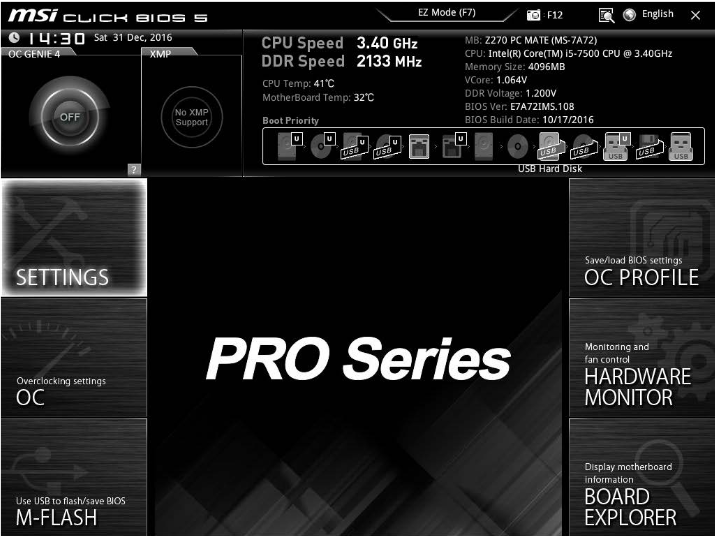 The BIOS ensures that the hardware of the computer is going to be initialized, configured and test before the operating system starts. If there isn't any error, the operating system will be started from one of the data carriers from your system, according to the boot sequence. UEFI was developed and introduced by spreading 64 bit systems. In addition to numerous extensions, the handling was simplified. To ensure compability with old operating systems, the UEFI includes an emulation of BIOS. It is possible to update the BIOS to a new version (it's called "BIOS flash") using a program. This is necessary to implement new functions or for fixing bugs with older versions. If an error occures during the update usually it ends in irreparably damaged status of the mainboard. BIOS Updates happen on own risk, please handle them with special care.